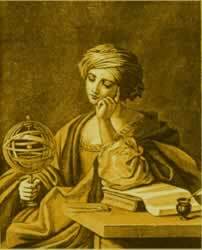 Jackie Slevin began her studies of astrology at age nine after finding her mother’s astrology texts from the Faculty of Astrological Studies in London on the living room coffee table. She is the Dean of this online Astrology school, The University of Geocosmic Studies, and past NCGR Co-Director of Education. A full time astrologer, teacher and writer, she has lectured internationally, including UAC 1995 and 2002. She is currently VP of NNJ NCGR. Her articles have appeared in the Llewelyn Sun Sign and Moon Sign books, the Astrology and Medicine Newsletter, Realta, the Journal of the Federation of Australian Astrologers and the Journal of the Astrological Association of Great Britain. She is the author of “Finding Success in the Horoscope: The Slevin System of Horoscope Analysis by Jackie Slevin” ISBN: 9780892541416 May 2008. 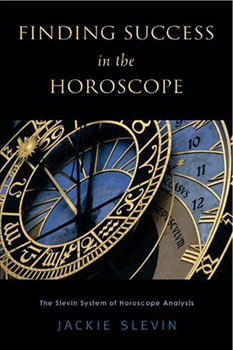 In Finding Success in the Horoscope: The Slevin System of Horoscope Analysis, Jackie Slevin introduces her twelve-step technique of chart interpretation that focuses on identifying and enhancing an individual’s potential for success. Using the Midheaven as her starting point, Slevin explains how the planets in aspect to the Midheaven describe our path to success – what we need to do to succeed and what the journey will be like. In addition to outlining the application of her system, she also includes sample charts of famous politicians, scientists, authors, and more, to illustrate her points. She provides a brief biography of each individual and details the influences in their chart to show how planets and aspects translate into character traits and events. An internationally published fulltime professional Astrologer, Jackie Slevin M.A., C.A, served as the codirector of the National Council for Geocosmic Research (NCGR) Education from 2000-2003 and is the founder and dean of the University of Geocosmic Studies, a distance learning program. She was the conference coordinator of NCGR Education Conferences in Hartford in 2001 and Minneapolis in 2003. A graduate of Classical Studies in Horary, she was a track coordinator at UAC 1995 and a member of the UAC 2002 Education Committee. She has served on the Board of New Jersey NCGR since 1983 and is currently a member of the NCGR Board of Examiners.